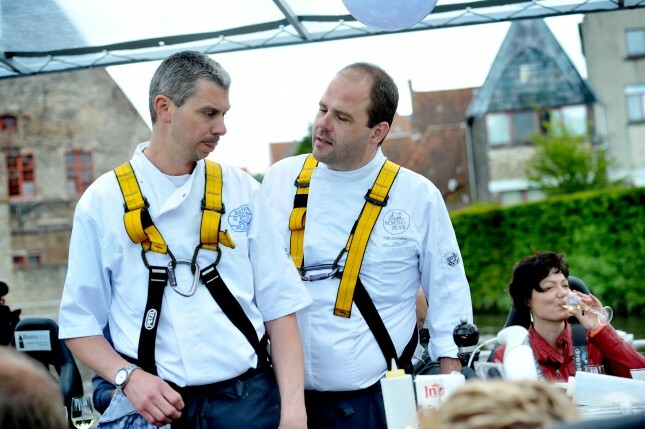 Bistronomie is a well-established concept and dining guide of the best no-nonsense restaurants in Flanders and Brussels. 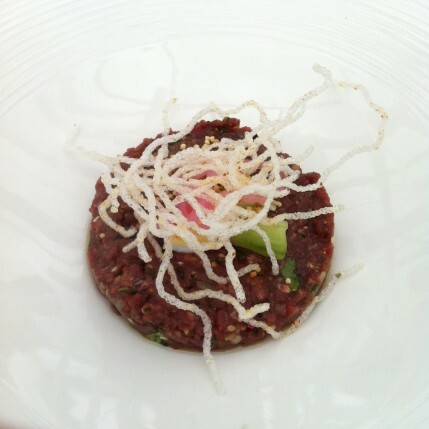 The key words are a qualitative cuisine in a charming and authentic setting, with a loose but correct service. 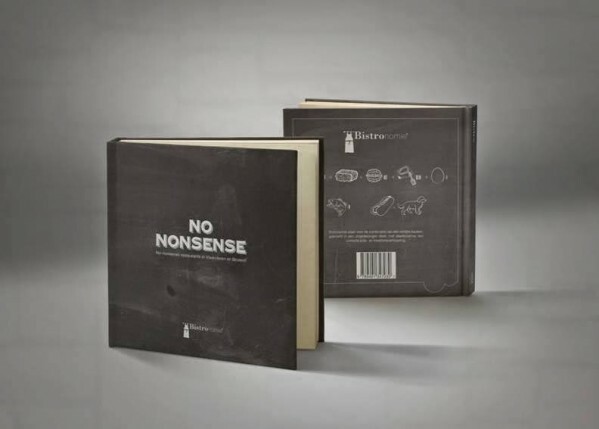 The Bistronomie Guide ‘No Nonsense’ 2014 was recently published and can be ordered here. 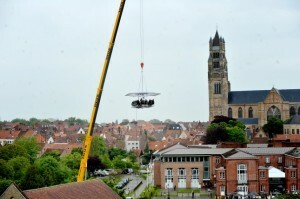 It includes an exclusive selection of bistros, brasseries and uncomplicated restaurants in Flanders & Brussels. Bistronomie.be provides a website with a powerful search engine to simplify the search for the ideal Bistronomie address, according to the desired criteria. The association also organizes several events like theme dinners in one of the participating restaurants and the annual book launch events. 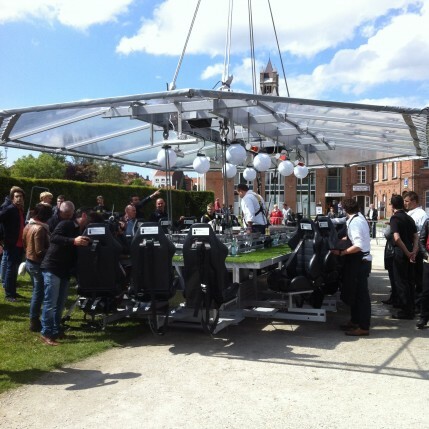 In May 2014, Bistronomie organizes their newest event ‘Bistronomie in the sky’. 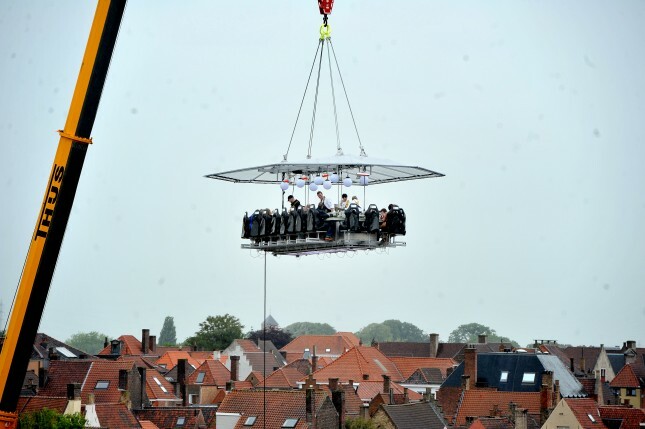 On Saturday the 24th, Sunday the 25th and Monday the 26th of May, Bistronomie leaves the earth and food lovers have the opportunity to dine +/- 50 meters above the ground. 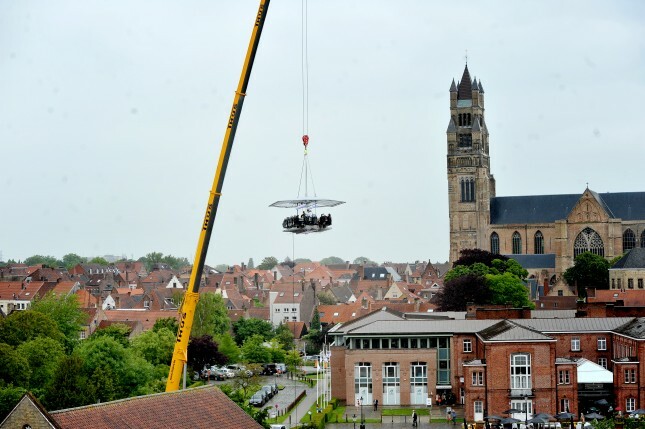 A platform with 22 seats and a cooking space for two chefs is raised in the air and guests can enjoy a meal with a magnificent view over the historical city of Bruges. 9 chefs from the Bistronomie guide prepare a 4-course menu with appetizers and pairing wines. 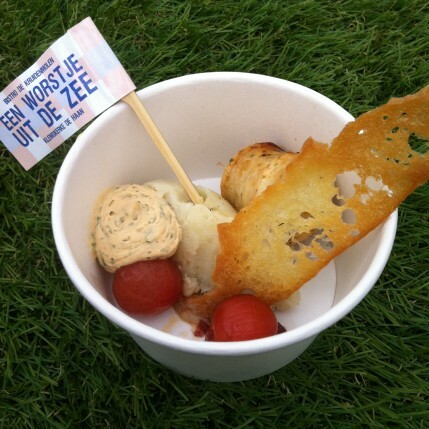 The participating restaurants and chefs are Rock Fort (chefs Hermes Vanliefde and Peter Laloo), Bruut (Bruno and Bas Timperman), Kok au Vin (Jürgen Aerts), Tom’s Diner (Tom Mestdagh), ‘t Apertje (Leo Callewaert), Bonte B (Bernard Bonte), Lieven (Lieven Vynck) and De Kruidenmolen (Stijn Bauwens). 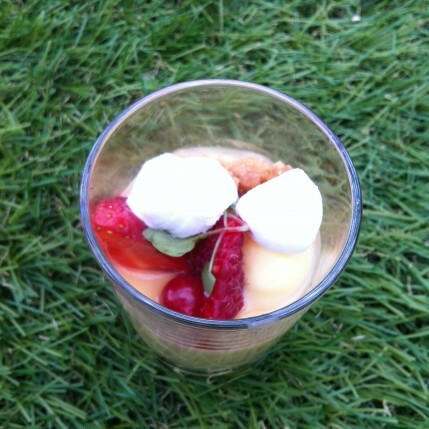 We went high up in the sky on the 24th of May and enjoyed great dishes by Jürgen Aerts and Stijn Bauwens. 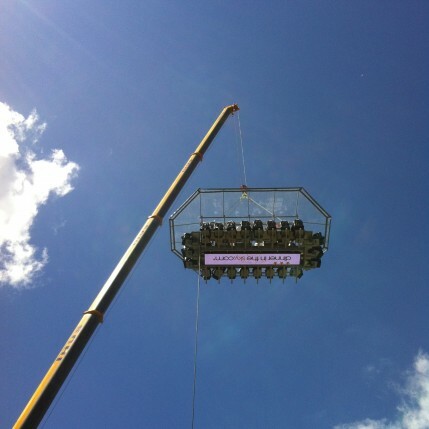 It is a unique experience to dine in the sky and discover wonderful creations from the participating chefs. 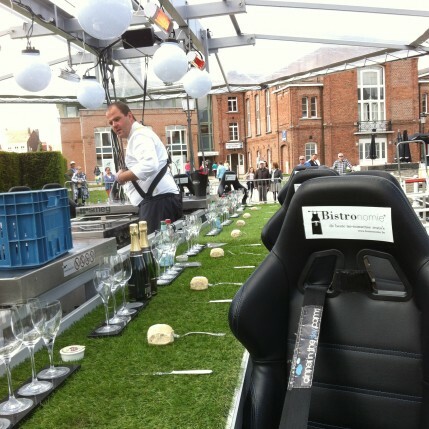 All details for reservations can be found on http://www.bistronomieinthesky.be/, we are already looking forward to the next editions!